With over 37 years of bankruptcy law experience, Michael Jay Berger, Attorney at Law, represents clients in bankruptcy proceedings throughout Southern California. Mr. Berger is a certified bankruptcy law specialist, as determined by the State Bar of California Board of Legal Specialization. As of March, 2019 only 167 attorneys in the State of California were designated as certified specialists in the area of bankruptcy law. For more than ten years, Mr. Berger was the only certified specialist in bankruptcy law in Beverly Hills, CA. As of October 3, 2016, Mr. Berger’s Senior Associate Attorney Sofya Davtyan became the second attorney in Beverly Hills, CA to become certified as a specialist in Bankruptcy law. Mr. Berger has attained the highest possible rating of “AV,” indicating preeminent legal ability and highest ethical standards in the practice of law from Martindale Hubbell, the national directory of attorneys, and has maintained that rating for 24 consecutive years, from 1995-2019. Mr. Berger is rated 10/10 Superb by AVVO. Mr. Berger represents both debtors and creditors in Chapter 7, 11 and 13 bankruptcy cases. Please view the Firm Overview page of this website for a more detailed description of Mr. Berger’s practice areas. 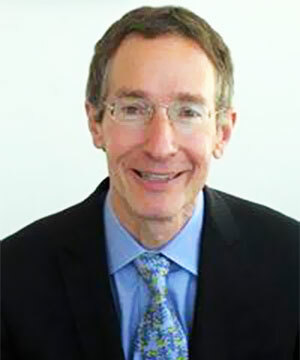 Mr. Berger received his Juris Doctor Degree, with Honors, from the University of California, Hastings in 1981 and joined the California Bar later that year. He graduated with Honors with a Bachelor of Arts from Duke University in 1978. Mr. Berger is a Mensa, certified genius, with the intellectual ability to craft creative solutions to even the most difficult legal problems. Mr. Berger began practicing bankruptcy law with Rifkind & Sterling in 1981. He then established his own firm in 1983. 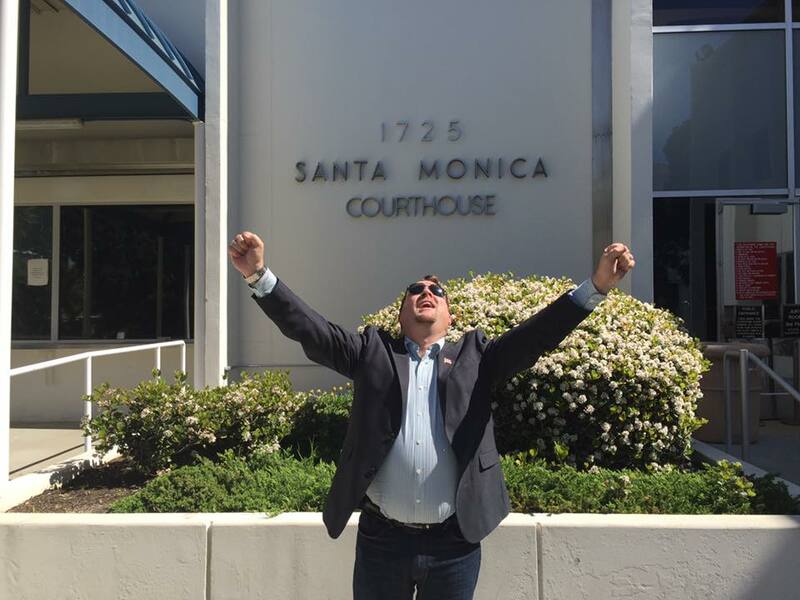 Mr. Berger served as a Judge Pro Tem for the Beverly Hills Municipal Court and as an Arbitrator for the Beverly Hills Bar Association. He also served as an Editor of the Beverly Hills Bar Association Journal. He maintains active membership in the Beverly Hills Bar Association Bankruptcy Section, the Los Angeles Bankruptcy Forum, the California Bankruptcy Forum, the Central District Consumer Bankruptcy Attorneys’ Association, and the American Bankruptcy Institute. For a detailed record of the more than 233 races that Mr. Berger has participated in, see his profile on Athlinks https://www.athlinks.com/athletes/10041986. Mr. Berger has received the USATF Gold Phidippides Award “For Outstanding Performance and Endurance in Long Distance Running” ten years in a row, from 2009 through 2018, and is the first person ever to receive the prestigious 10-year Phidippides Award. Mr. Berger is also the rhythm guitar player and lead singer for the rock and roll band DTF. This case was a lawsuit for rescission of a contract to purchase the famous West Hollywood Bar and Nightclub Rage. 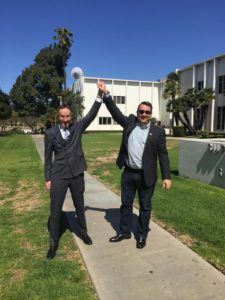 On April 29, 2016, after a three day court trial, judgment was awarded in favor of Michael Berger’s client Thomas Michel and against the defendants in the sum of $364,474.17 and defendants received nothing on their multi-million dollar cross-complaint. Even more impressive, Michael Berger collected this judgment in full plus additional sums for costs on May 11, 2016! Thomas Michel is now a very satisfied client and a good friend of Michael and the firm. He has posted glowing reviews of Michael and the firm on Google and Yelp. 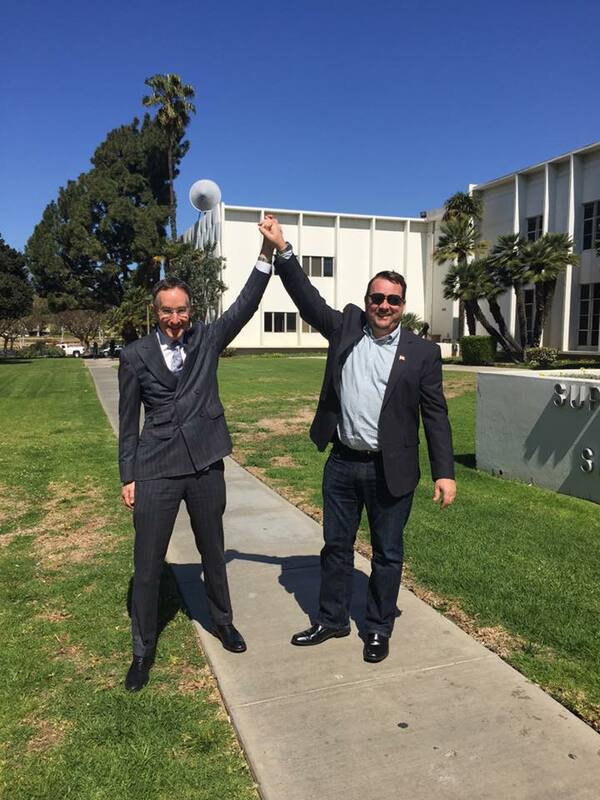 Here is a photo of Michael and Thomas celebrating their victory and a great shot of Thomas in front of the Santa Monica Courthouse where the case was tried before Judge Gerald Rosenberg.